The Panida is bringing back Modified! This winning documentary of 13 awards, including 4 Audience Favorite Awards, follows the filmmaker and her mother as they embark on a very personal and poignant investigative journey. 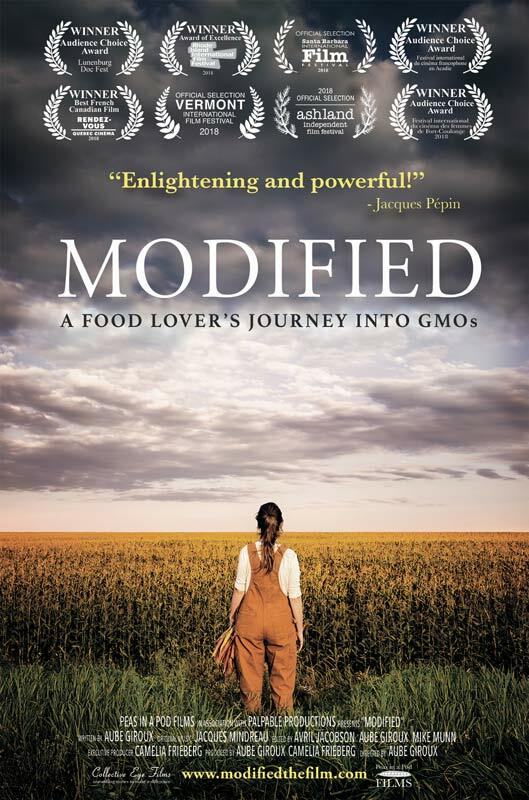 Modified is anchored around the filmmaker’s relationship to her mom, a gardener and food activist who battled cancer during the film's production. Their intimate mother-daughter quest for answers, fuelled by a shared love of food, reveals the extent to which the agribusiness industry controls our food policies, making a strong case for a more transparent and sustainable food system. A visual celebration of food and family legacy, praised by world-renowned chef Jacques Pépin as “a very personal, tender, touching tribute and a well-researched, enlightening and powerful documentary”. An official selection at over 60 international film festivals.